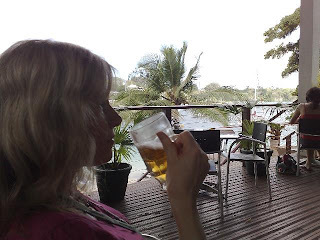 We had a really relaxing lunch by the water at Irririki Resort. I think the local "Tusker" beer is Liz's favourite. Next Next post: Bye, Vila!